FUEL EFFICIENT 34 MPG Hwy/23 MPG City! LX trim. 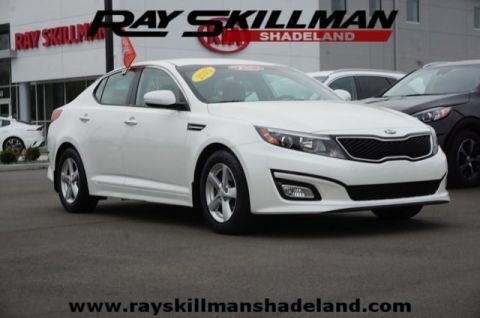 Bluetooth Connection, CD Player, Auxiliary Audio Input, Alloy Wheels, Satellite Radio. SEE MORE! 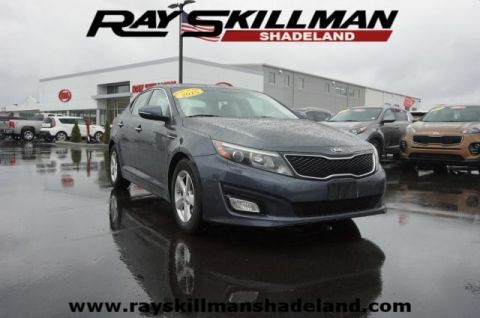 Edmunds.com explains Inside the 2015 Kia Optima, you'll find a distinctly modern, European-influenced design, as well as good overall interior quality and an abundance of soft-touch materials..